I was at the Ohalah conference shuk, rearranging the kippot that still left on my table, and noting, as I do every year, a marked preference for all shades of blues and purples. Over 200 rabbis belong to Ohalah, the Association of Rabbis for Jewish Renewal. Our annual conference brings together rabbinic pastors, cantors, rabbis, and students of all three professions for several days of davening, workshops, and programs. 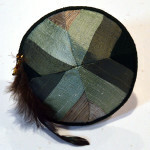 A woman I did not know stopped to look at a kippah I had made from raw silks in soft shades of heather and hunter green. She was wearing exactly the same pale green as I had used in the kippah. 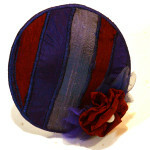 She looked at the kippot quietly. “Is there one calling out to you?” I asked. There were two she liked. One was aqua, with an applique in the form of a thistle. The other was the kippah of greens. She picked up the one, then the other. She made no move to try on either one. 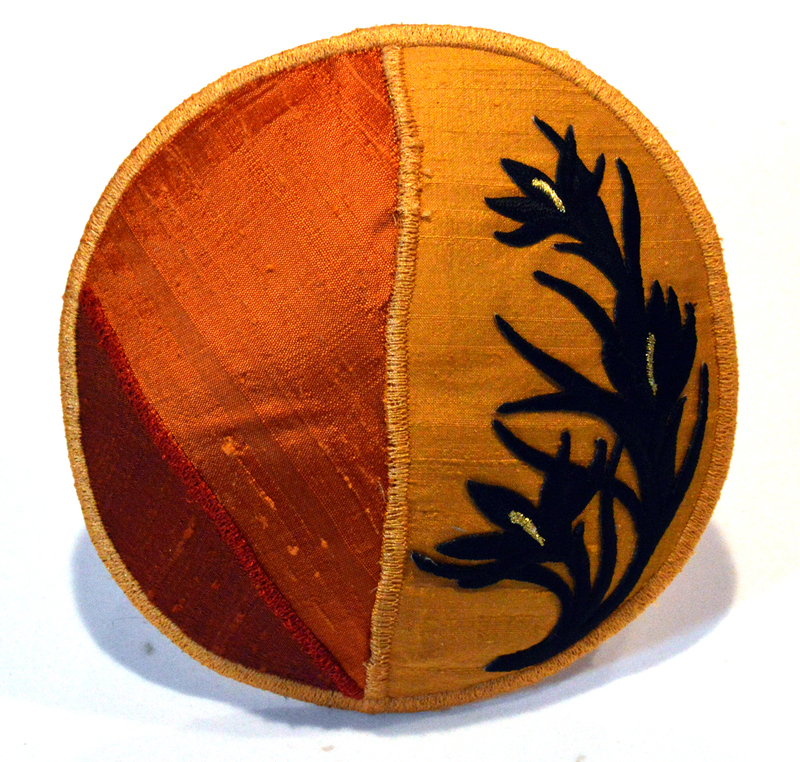 The rabbinic pastors, rabbis, cantors, teachers and students who stop at Not My Brother’s Kippah to look at my kippot or tallitot are looking for how they want to pray – with exuberance or quiet certainty; with joy or with deep, rich, attentiveness. 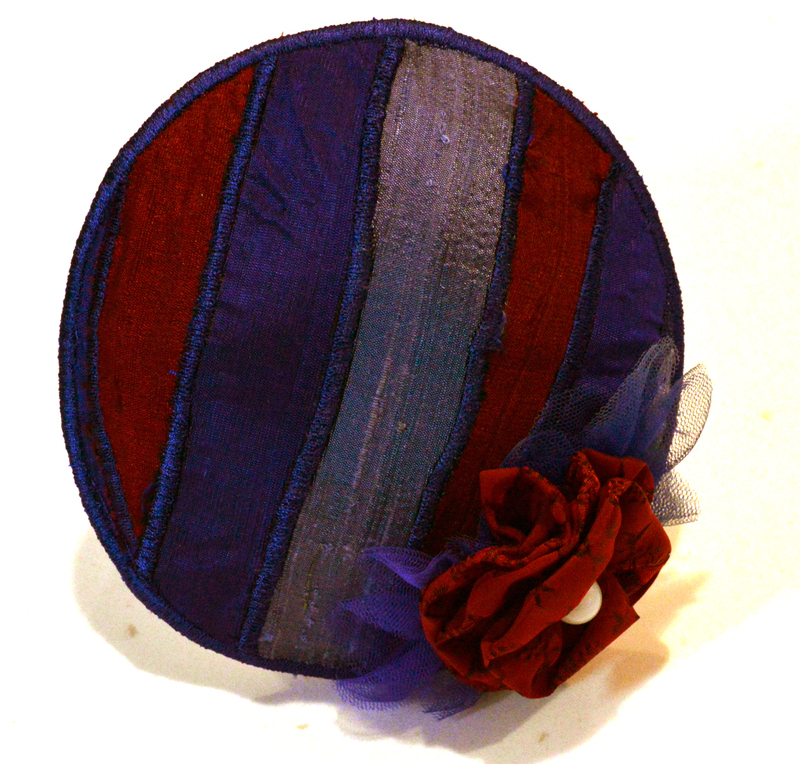 The kippah each chooses is the one, I have learned, that I made for exactly that person. 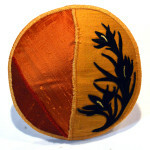 The kippah with the thistle was important for my new guest. She works with an organization that has a thistle as its symbol, an organization that aids women who have been abused and enslaved. I learned about her as she spoke. Finally, I discovered the reason for her shyness. She was not Jewish. She was attending Ohalah as a conference presenter at one of the many sessions held on interfaith work. That morning, our keynote speaker, Rabbi Arthur Green, had emphasized the need to respect and honor traditions of other religions. He had also warned, gently, against trying to appropriate them. Though she was attracted to the kippot on my table, she didn’t feel she had a right to wear one. She could imagine that feeling, she said. Still, she would hate to offend anyone. She would not like for people to feel she was doing something false. To be fair: I’ve known my fair share of people who found Jewish traditions and rituals exotic and interesting, and who adopted those practices in ways that felt, at times, invasive to me. I’ve known what it is to be “observed” for the sake of learning about how Jesus might have lived. I have had to explain why the Passover celebration and its rituals cannot be turned into a reenactment of the Last Supper. But I have also known what it is to speak to a Christian woman in spiritual direction with me about her deep attachment to the poignant image of a cross crowned by thorns. To speak to her heart, I had to speak in her language. I did not sacrifice my tribal identity. To communicate in someone else’s language is a learnable skill, but it does not make that language your native, natural one. This minister’s work was the work of all clergy who try to bring God’s compassion into this broken world. Mysterious things happen at the Ohalah conference every year. I didn’t tell my quiet visitor what I had noticed. She tried the kippot on. In the end, she decided to buy both. Then it was time to tell her. At each Ohalah conference, there is a large, glass bowl filled with many slips of colored paper. On each slip is a name of someone attending the conference. Anyone can choose to take one of those slips of paper. Whoever’s name you choose is whoever you pray for during the conference. Of over two hundred possibilities, I had chosen her name. I realized that as she was trying the kippot on, when I glanced at her name tag. I told her; she smiled. Then I blessed the kippot, and I blessed her work, and I blessed her. A rabbi had made kippot for a non-Jew – still a person who had needed those blessings. May they aid her in her work. It is also mine. And ours.